The Bitcoin payment processor Coinbase has just introduced the Shift Card which is essentially a VISA Debit Card that currently allows Coinbase users in twenty-four states in the U.S. (for the moment) to spend Bitcoin online and offline at over 38 million merchants worldwide just like they would with a normal VISA card. With the Shift Card, you can now spend Bitcoin anywhere in the world that VISA is accepted with the amount of BTC coins deducted from your Coinbase account. 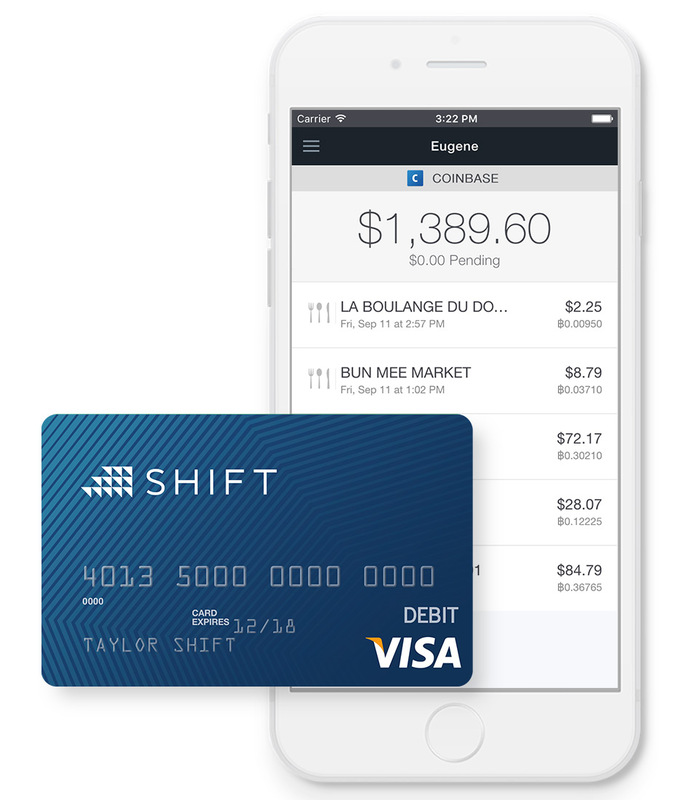 It seems however that the Shift Card is a partnership with Coinbase and not their own product, so you need to link your account and authorize a payment of the $10 card issuance fee (will be paid in Bitcoins). Currently the eligible states where users can apply for a Shift Card are: Alabama, Arizona, California, Delaware, District of Columbia, Georgia, Idaho, Iowa, Kansas, Maine, Mississippi, Nebraska, Nevada, New Jersey, North Carolina, North Dakota, Oklahoma, Pennsylvania, Puerto Rico, South Dakota, Texas, Vermont, Washington and West Virginia. With a beta test for California that is limited to the first 1000 applicants​. Other states can be added later on, so if you are interested in the product you might want to keep an eye on the list. By default, the daily spending limit for the Shift Card is $1,000 USD. You can lower this limit to any amount below $1,000. The daily ATM withdrawal limit is $200 USD. There is no annual fee, no fee for domestic payments, however there is 3% for international ones, there is a $2.50 USD fee for domestic ATM withdraws and $3.50 USD for international ATM withdraws. So it seems that the target users for the Shift Card are USA customers that plan to spend Bitcoins for domestic payments and not withdraw BTC to USD on an ATM or use the cards abroad. Since the Shift Card is limited to only certain states of the USA, if you live in a non supported state or in a different country there are other alternatives for debit cards that are backed by Bitcoin that you might want to check out. We have been using a VISA debit card powered by BTC linked to our Xapo account for a while already and are quite happy with the results. Another alternative is the service E-Coin that is essentially an online Bitcoin wallet along with a Bitcoin debit card linked to it and you can get either a virtual debit card or a physical one, though we have not yet tested the service we are soon going to. Another interesting alternative is the Gold-backed debit card from BitGold where you can purchase Gold with Bitcoin and still fund your card with BTC, even though your account balance will be in Gold.